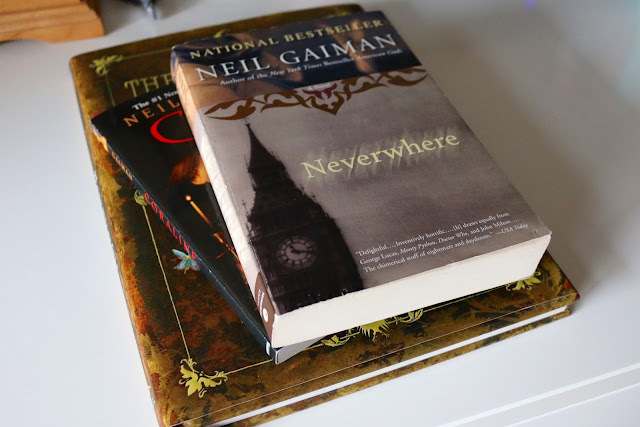 Neverwhere is classic Neil Gaiman but one of my least favorites of his so far. It has all of his usual twists and surprises but with the pizzaz I have come to expect. Though a series of events, Richard finds himself in London Below, which has many of the same things as London Above but with more Tube stops, warriors, monsters, and a floating market that’s always in a different place. In order to leave London Below behind and to stay forever in London Above (his London), Richard finds himself helping Door and her companions on their quest to avenge the brutal killing of Door’s family. Some in their party are not who they seem to be and they must find out who before it is too late. Overall, I enjoyed this book and while I did find my mind wondering back to this book while I was not reading it, I did try to kind of quickly finish the book because I didn’t love it.